For Kate's birthday, we made her a little purse. Ruthie wanted to help, so she made a little mini matching bean bag. Good job Ruth! It was so small that we filled it with rice instead of popcorn like usual. 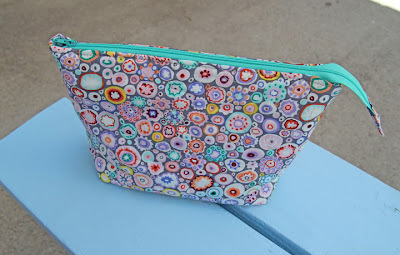 Side note: The lining for this little purse is a fabric I used for Rachel's college quilt. I will post pictures of that later.